Large, dense plants display an uncommon weeping habit with majestic flowers. This most unusual and delightful butterfly bush infuses the back of the sunny border with colorful flair. ‘Wisteria Lane’s large, dense plants display an uncommon weeping habit that flourishes long, majestic rich-violet flower spikes throughout summer. A glorious addition to your garden, and beacon to passing butterflies and hummingbirds. Butterfly bush may be grown from seed sown early indoors and transplanted outside after frost. Sow butterfly bush seeds indoors 8-10 weeks before the last spring frost date using a seed starting kit. Sow seeds shallowly in seed-starting formula, or just barely press in. Prune to rejuvenate in spring. Cut plants to the base and they will grow back during the season. 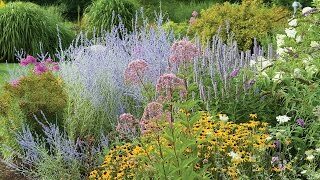 Butterfly bush combines perfectly with ornamental grasses and flowers that have the same bloom period. 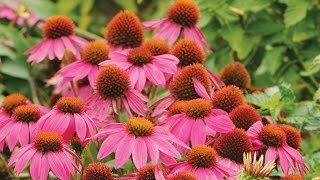 Plant throughout your garden and attract butterflies all summer long. Buddleia, Wisteria Lane PPAF is rated 3.6 out of 5 by 5. Rated 5 out of 5 by alandb from One plant filled a huge pot I bought two of these last year, keeping one for myself and giving one to my mother. I planted mine in a large pot which I sat on to of a larger cedar stump. This plant quickly filled the pot with weeping blooms. This year it did even better. It’s one of the most impressive plants in my entire garden. The only problem is trying to remove the huge number of spent blooms. My mother’s plant was planted in her horrible heavy clay soil in the narrow space between her sidewalk and her house (in a retirement community). It didn’t grow nearly as large as my plant, but still survived and produced a good number of blooms. This plant did better this year, despite the very poor growing conditions. Rated 1 out of 5 by donnad from Don't waste your money. If it would last 2 months, I'd have died and gone to heaven. Rated 5 out of 5 by maryl from Gorgeous! This was a tiny plant when I received it a few months ago, and now it fills a large container. It really does resemble wisteria, so it's best to plant in a container so the flowers can hang down. Just beautiful! Rated 2 out of 5 by Eden1 from Grows poorly. I bought this last last year with much protection it survived the winter which was not very harsh.It started to grow in spring but has very few leaves that are not doing well. Last year it did flower a bit. It is almost summer and I had hoped to see some vigorous growth.Butterfly bushes are usually fast growing plants.I am disappointed. Rated 5 out of 5 by flowerlovr from Beautiful! I ordered three of these butterfly bushes early in the season and planted them in large pots. They are gorgeous! They're not demanding at all, but the blooms are lovely and the way they drape is elegant. I'm always searching for plants that can take this hot Texas climate and these buddleia seem very happy. One gets much more sun than the other two, so I water it a little more often. I love them so much, I've just ordered three more.